I embraced Islam in 1999. As a new Muslim, I lacked hikmah (wisdom) in how I dealt with my mother. I so badly wanted her to taste the sweetness of emaan but gave her dawah in quite a harsh ‘black and white’ manner. Needless to say, it put her off and her previous negative view of Islam only intensified. Our relationship over the following 16 years has been a very turbulent one. There were many arguments, she criticised my decision to become Muslim, and couldn’t understand how I would leave my ‘trendy’ ways to don the full hijab. She thought I was going through a phase and later described my action as ‘pure madness’. Many years went by where she wouldn’t speak to me or if she did, she spoke to me with such icy contempt as though I was a stranger. Mid 2004, I discovered I was pregnant and I hoped that the news of her first grandchild would mend our broken relationship. I remember calling her to break the news, only for her to reply ‘Oh okay’ and then to put the phone down! A few weeks later, I received a letter that made me tremble and cry such heart-wrenching tears. In her letter, she cursed the Prophet (sallalahu alayhi wa sallam), she ripped Islam to shreds and she spoke of her ‘hatred’ towards myself and my chosen way of life. I broke down just wanting to be close to my mother and for her to be happy with who I was and the news of her first grandchild. My husband turned to me and told me to be patient; that one day my mother would become Muslim. ‘Just be patient – one day you’ll look back at this day’, he advised me. Alhamdulillah, my first child; a girl was born and subhanaAllah it did initially soften her heart. She visited us and was so happy – it’s amazing what grandchildren can do to a hardened heart subhanaAllah. Little did I know back then that this little baby would one day say something that would deeply touch her grandmother’s heart causing her to take the step and thus becoming a Muslim. Over the years we tried to mend our relationship. Sometimes things would go well. Other times, we would go for months and years without talking. She would often curse the Prophet (sallalahu alayhi wa sallam) to deliberately hurt me. Despite the pain, I tried to keep in contact for fear of severing the ties of kinship and earning Allah’s wrath. Then something changed. 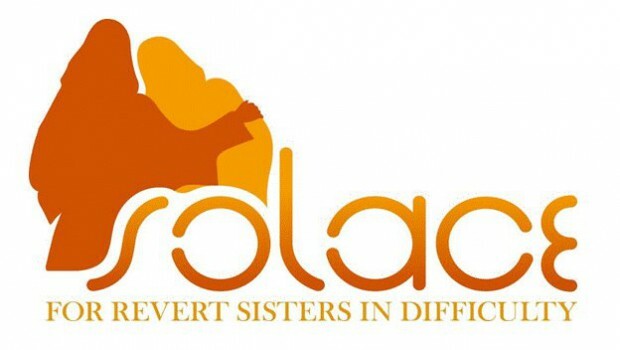 In 2011, I set up a charity called Solace for revert sisters in difficulty and during that busy first year with my amazing team, we began to support revert sisters around the world. I begged Allah to guide my mother and to relieve me of the distress of the thought of her dying as a non muslim. I spoke to Allah and told Him that He promised the believer’s distresses and difficulties would be relieved so long as they were at the service of their Muslim brother or sister – helping them; relieving them of their own difficulties. I would often ask Allah mentioning this hadith in my ad’aiya and that He would accept my work in Solace for His Sake and relieve me of my distress by guiding my mother to His Perfect and Beautiful deen. Alhamdulillah, purely by the generosity of Allah azza wa jaal, I was blessed to go on hajj that year. Under the scorching heat of Arafah, I begged Allah to guide my immediate family to Islam…particularly my mother. Upon returning from hajj I had a dream that I was in the haraam with my mother and hoped that the beautiful dream would one day become a reality. The next few years would see my mother begin to read about Islam. She was particularly taken by the story of Yusuf Estes and she watched many documentaries about Salahudden (may Allah be pleased with him. Ameen). 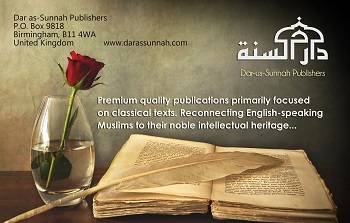 My mother is an avid reader and she would share the books she was reading about Islam. I could see that her interest had ignited and I decided to back off. I did not want to put pressure on her and instead was there should she have any questions. One day she called me and told me her opinion about Islam was changing. She said, ‘I don’t like what I see on the media – they paint Islam with such a negative light. I often find myself defending Islam when people say bad things about Muslims. I asked her whether she believed Islam was the correct way of life and she said she was beginning to but that her two remaining issues remained: the question of Jesus being the son of God or a prophet and how the Prophet (sallalahu alayhi wa sallam) could marry Aishah when she was so young and have so many wives (she was always the feminist and loved feminist literature!) I advised her to carry on reading and researching. Not long after this, my mother went through some difficult tests. The entire extended family was worried about her and it was then that I spoke to her about the rahma of Allah and the peace that descends upon the heart that acknowledges its Lord. I told her to pray to God in her own way – to just speak to Him. I told her He is the Only One who can provide you with ease and peace. Over the course of about a year, we would regularly speak. She would take long scenic walks and simply talk to God. She would ask Him for peace and ease and Allah, Ar-Rahman, provided that for her. I told her she can enjoy this sweet peace for the rest of her life when she finds the meaning and purpose to life and I encouraged her to sincerely from the bottom of her heart ask God for guidance and to be open to whatever it is He guides her to. She began to do that and during her walks alone in the beautiful countryside, she would begin her ‘conversation’ with God with ‘Bismillahir rahmanir raheem’ because for some reason it felt good and strangely beautiful (her words). It was then that I turned to my sisters and brothers in Islam – I asked everyone I knew to make dua for her. I did this because none of us know whom Allah truly loves and whose heart and soul is so pure that their dua would be accepted. After that, she would seem so close to embracing Islam and then she would become distant and quiet. This went on until one day she told me she now believes that Jesus was a prophet and in her words, ‘My daughter – I have no negative feelings towards the Prophet Muhammad – all my concerns are no more. I believe he was a prophet’. It was here that my heart skipped a beat and I asked her what she believed in. She told me she did believe but wasn’t ready yet to become Muslim. I immediately backed off and turned instead to Allah in dua – begging Him to guide her. In Ramadhan of this year, 2015, my eldest child informed my mother of a series that she has watched nearly 10 times! They begain to talk about it and my daughter advised her to watch it. The series is about the life of Umar bin al-Khattab (produced in Arabic but with English subtitles by MBC). My mother began to watch it and would send us email updates (she lives abroad) telling us how amazing the series is and how questions she had are being answered…one by one. ‘But don’t you know…when I’m on my own, I talk to God and say, ‘I bear witness that there is none worthy of worship except Allah and that Muhammad is His Final Messenger’. I was shocked. I exclaimed, ‘Are you serious? !’ She replied ‘Yes’. And then I took in a deep breath and asked her, ‘Mum – are you ready to declare that publically in front of us (myself, my husband and the children) right now?’ She took a breath in and said ‘Yes’. I couldn’t believe it. I told my eldest to run and get her father. He ran up the stairs and whilst he was talking to her, I was frantically trying to call a Sheikh to find out if a shahaadah online was acceptable. Looking back I knew the answer would be yes, but at that moment I couldn’t think straight. I couldn’t get hold of him and so I messaged a brother who very kindly (may Allah reward him) spoke to a student of knowledge who said it was fine. I thanked Allah and returned back to my family who were eagerly awaiting the ruling. I signed yes. I turned to my mother and asked her if she was ready. She firmly said yes. And I was blessed with the opportunity to hear her repeat the shahaadah – the declaration of faith – in Arabic and then English by repeating after me. We all then started shouting the takbir. My eldest son (aged 7) couldn’t contain himself. He just kept saying ‘ After all this time! After all this time! She’s Muslim.’ My eldest was quiet with tears in her eyes. It was then that I told my mother what I had been told 16 years ago… ‘Mum, do you know everything has been wiped clean?! You’re like a newborn baby!’ She then broke down and began to shake and sob. After composing herself with red swollen eyes, she looked up towards the sky and whispered, ‘Thank you my Lord’. At that moment, I felt so many emotions envelop me. I was so proud of my Mum – for not only did she embrace Islam but her first words after her shahaadah was that of gratitude to the King of Kings; the Lord of the Heavens and the Earth. I felt so grateful to Allah azza wa jaal for answering my dua and I just felt overwhelming love towards my Lord and this beautiful religion. And that is the story of how my mother embraced Islam. My dear brothers and sisters in Islam, I leave you with the following: By Allah, be confident in your Lord – have full certainty that He will answer your dua in the most Perfect way. Sometimes it may take many years, but never ever lose hope. Whether it is a non-Muslim relative that you deeply hope will become Muslim, or the hope for ease during testing times, or even a matter of the dunya – the first step is in you believing 100% that Allah will answer your call. Allah azza wa jaal tells us in a hadith qudsi, ‘I am as my servant thinks I am’. If you perceive Allah to be a Generous, Kind Lord who will grant you what your heart desires, you will begin to see dua after dua answered in your life. This is the first key. Kindly make dua for my mother, Josephine Pintauri. All that I desire now is that she dies as a true believer.